By Vesuri, October 5, 2007 in INTRODUCE YOURSELF! I'm actually from Finland but found this forum very positive and in good spirit! I'm 31 years old telecommunication engineer, non-smoker, doing mountainbiking, running, etc. and I've been diagnosed with non-small cell cancer and there are also some liver metastasis, so the starting point is quite serious. I just came from hospital today from 2nd biopsy because the 1st sample wasn't good enough for the precise classification, so I'll be waiting for that information next week and treatments start after that. I have very positive attitude, well of course the situation is quite new, but I'm very determined about fighting this disease and all the stories I've read here have really showed me the strength of human nature!!!! Seems that new treatments are being developed all the time for this cancer. Welcome, Jussi. Sorry you have reason to be here, but glad that you found us. I think you'll find lots of support here. When you get a more complete diagnosis, post that information and your treatment plan in your profile. Do let us know what you learn next week. You have already met our Ernie??? Then you know how much of an ispiration he is to all of us. I'm glad you have found us in cyberspace so you can receive the support , information, and compassion from the many wonderful folks here. Get all you info gathered. Come and post it. And let us accompany you on this rollercoaster ride we here all know as lung cancer. I'm certain in no time flat, you will be meeting many of the young posters ~ 20's and 30's. Boy, that is pretty sad to actually say and type that. Just know that there are many surviving here, Jussi. So keep your hopes alive (and listen to Ernie) and spirits up. I think you are our first member from Finland. I know the beginning of this journey is pretty terrifying but we'll help however we can. Hi, Jussi, and a warm welcome to the LCSC, although neither you nor I can be truly "glad" you're here. 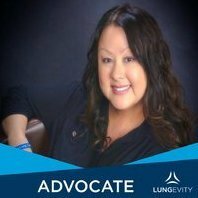 We have an increasing number of members with a personal history much like yours -- active, health-conscious men and women in their 20s and 30s who had never smoked and who suddenly found themselves diagnosed with advanced lung cancer. But, like most of them, your otherwise good health and positive attitude will serve you well in the months and years ahead. You mentioned Ernie, and I've got to toot my own horn just a little. I'm the one who introduced Ernie to the LCSC! He's been in this cancer thing somewhat longer than I have, and we met on another site. After a day or two I discovered the LCSC through Google, found it far superior to the other site, and talked him into coming on board. We both have aviation backgrounds, but I'm definitely not a marathon runner! You have found a place of hope. There are many survivors here. People thriving and living with lung cancer at every stage. Never give up!! God Bless You as you begin this journey!! Welcome Jussi. Let us know what plan of treatment they put in place for you. I think you will find much support here and a great deal of knowledge. I am sorry you had the need to find us but glad you did. There are so many wonderful treatments out there now and new ones coming on each week. Let us know how you are doing and what is going on. Wow.... I want to t h a n k y o u all for the replies! This is amazing... People I've never met, and I can feel the positive and supporting atmosphere! I wish a relaxing weekend to all of you! Lets keep in touch! Welcome, Jussi. So sorry you had the need to find us. You'll find lots of knowledge and encouragement here. Keep us posted as treatment progresses. I'm so sorry for your diagnosis, but I'm glad you found us. Ernie is certainly awesome!! The members here are wonderful source of support and encouragement. You don't have to go thru this alone. Please keep us posted on you and your treatment plan. I hope it to be a complete success! Sending lots of positive thoughts your way! I am glad to see that you were able to get on the site. I was out of town for the weekend and just got back. This is the best site for suport. Welcome Jussi, don't forget to start your profile and keep it updated.. I updated the profile a bit, I hope it can be seen ok. That's about it so far. So now it's official. Non-small cell, adenocarcinoma type of tumor. I don't know anything about the size or rating etc. But the planned treatments are scheduled for next week, so I get more information then. I'm currently at hospital because they tried this "glueing" of the lung (pleural?) surfaces. This should prevent the fluid coming into the lung. I'm going home tomorrow I believe. I'm quite anxious to get the treatments started, so I can focus on crushing this disease. Does anybody know if fever prevents starting chemotherapy? I've had 4 days of fever after the pleural treatment as I should have, since the body interprets the operation as a infection and fever goes up, but seems that it should have gone down already? Well, I call tomorrow to the lung clinic and see what they have to say. Another thing that came into mind is that, has anybody had weight loss since the diagnosis? I guess that goes with the territory as well? Welcome! I just wanted to tell you that at my diagnosis almost 2 years ago, I also had a large pleural effusion (drained 1.5 liters) and liver mets. I am currently on my third line of chemotherapy and my tumors are shrinking. I have been doing quite well and am feeling pretty darn good lately! Your positive attitude will serve you well on your cancer journey. We are here for you. Welcome! You will find so much support here. I'm sorry I don't know anything about the fever question you had but after diagnosis I lost 5lbs. right off the bat. I don't think it was from the cancer but from the sheer stess of everything that was going on at the time. I have since remained at the same weight for over a year. Try to eat as much as healthy as you can. I find that 6 small meals a day work the best. So, just finished first visit to the cancer clinic. They have very nice premises, everything new. The whole building has been open for just three weeks. We talked about treatment shortly (they call back to the clinic for this during this week) and proposed one clinical trial. It would include normal therapy, that would be gemcitabine (Gemzar?) + cisplatin (don't know the brand) and then they would give this Nexavar also. This trial also includes group who receive some placebo instead of Nexavar, so I guess it's 50% chance of getting the medicine. Quite a bit better probability than getting this disease in the first place .... I'm thinking of going for the trial. But I'll sleep on it and the doctor who's in charge of it, calls me tomorrow. Jussi, good attitude, stay positive. Also sounds like you are a healthy and that will help you also. Being fit means you have a strong immune system I believe you will do well with your treatments. Keep us updated. Ask your doctor if you can receive Nexavar without doing the trial. Sometimes a drug that has not been approved for lung cancer yet, but has been approved for another type of cancer can be used if your doctor wants to. This way you know what you are getting. Welcome to the site Jussi . You'll have lots of support here.